The new way to create and track goals. The customer was not happy with the current (broken WordPress) solution that he had and asked me to build a better one. Instead of doing a WordPress plugin I decided it would be awesome to create a web application. The result is fantastic! It was important to have lots of customization. This way the customer can change the web app without having to call up the tech guys every time. 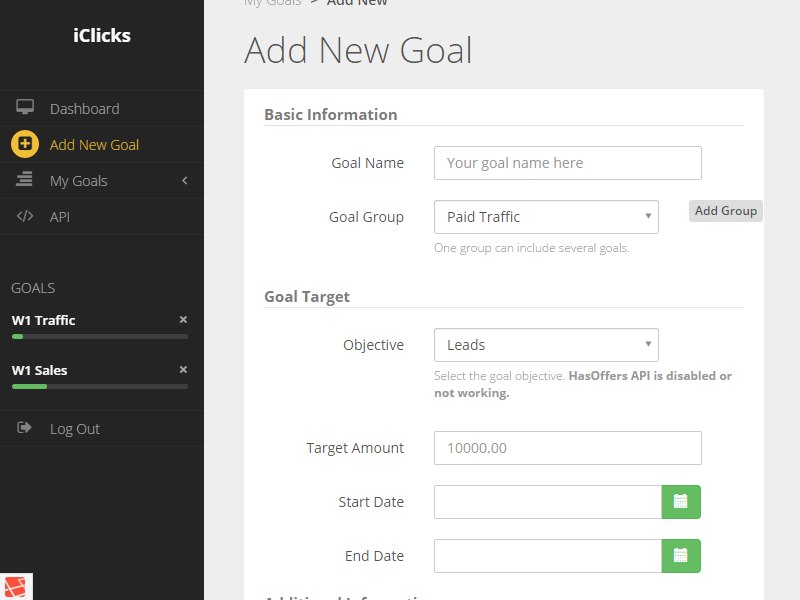 The goals got connected with the HasOffers system. The user can either manually update the progress or the system will get the daily results automatically from HasOffers. Automation rocks! Goals can be grouped. 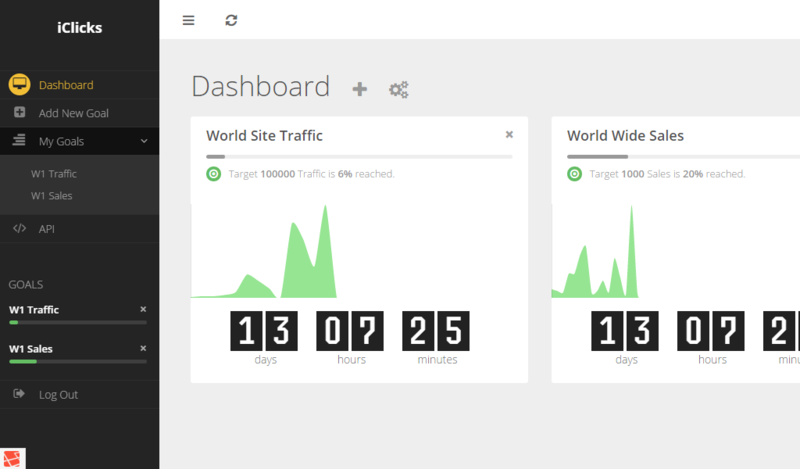 For example you can have a group for a site or an offer that tracks the progress of clicks, leads and sales. 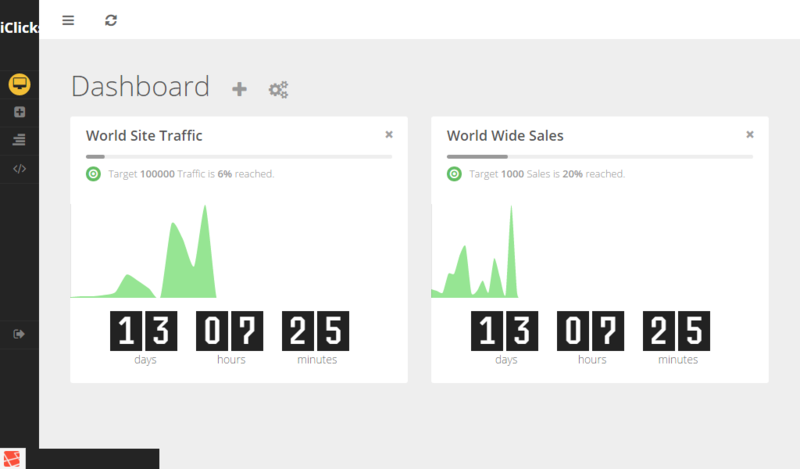 The dashboard is customizable and the graphs rock. The user can add any goals or groups to the dashboard and change their position. The countdown for each goal adds a little more motivation.